Michael Savage, speaking on Purim during his famous radio show today, said that “holidays are for children,” and “I don’t know; I don’t have meaning for this stuff.” With approximately 68% of American Jews (see 2012 Pew Research Center polls) professing atheism, it should come as no surprise that there is a Jewish disconnect from holidays that celebrate victories from over twenty-four centuries ago, while “the world burns” in its religious and geopolitical upheavals of today. Dr. Savage is indeed a learned man who knows Jewish history, and he strongly believes in God, but what he and most Jews and Christians do not perceive is how these important biblical events serve within the panoramic picture/pattern of Divine salvation, as something that spans all of human history rather than things relevant only to the salvation of Jews in ancient times. Some things can only be discerned by the Holy Spirit in the symbolic, scriptural language of our Creator. Thus, I decided an hour ago to include an article on Purim and Mordecai’s persecution and what all of this means concerning the coming of Yeshua the Messiah (something that Savage does not believe). After all, God orchestrates history like a gifted novelist, and all biblical lives and stories ultimately profess to His greater, panoramic plan (and times) of messianic redemption. As we shall see, the salvation of Jews over 2,400 years ago (c. 474 B.C.E.) is still prophetically relevant for our age. When the passage above speaks of “man” denying himself and worldly living for serving God, and following after the Messiah, it includes women who are willing to lay down their lives to do what is right in God’s sight, even in the face of persecution, uncertainty, and death. Esther, whose name means star, was such a woman who lived in troubling times for the Jewish people, and her story is still valid today in God’s messianic plan of salvation for the Jewish people- their deliverance during the coming Apocalypse. Indeed, in her meekness, Esther symbolizes what we Christians commonly call “the Bride of Christ”- the elect citizenry of Bible-believing Jews and Gentiles who will soon inherit the Earth and reign with Messiah, foremost from the Jerusalem throne in Israel. In her story, we will correlate an ancient call of a Jewish awakening to God’s present-day call to His elect people; to the giving of Holy Spirit (Ruach HaKodesh) gifts; to the biblical authority of Jews to defend and avenge themselves on their anti-Jewish/Muslim neighbors of today; and to the celebration of joyful deliverance when the “stars of Jacob” (see Dan. 12:1-3)- like Esther- shine in the coming Kingdom of Heaven with the Great King Messiah. We will also briefly cover some Septuagint (Greek Old Testament) parallels of the Dragon of Revelation (who persecutes practicing Jews and Christians at the end of the age) to Haman (see Rev. 21:1-17). We will consider how the humble “Bride” (foreshadowed by Esther) will overcome the Dragon/Antichrist system of the world. Further, we will look at Esther’s role and relationship with King Ahasuerus, meaning prince, and compare it to God’s elect “stars” of Heaven and their relationship with the “Prince of Peace” (Messiah). The Persian kings reigned under the lofty title “King of Kings,” but Ahasuerus served as a mere shadow of the true “King of Kings” whom the “stars of Heaven” shine for and await (cf. Ezra 7:12; Rev. 19:16). As we progress through the ancient plight of Esther and the Jewish people, and consider how King Ahasuerus (a.k.a. 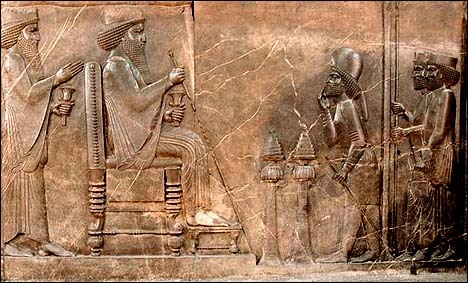 Khshayarsha, Achshiyarshu, Xerxes, et. al) protected his virgin wife and her people, we will discern correlations between Christ and the Jerusalem Bride (i.e., spiritual virgins, not idolaters, see Rev. 14:1-4). Jewish deliverance from an ancient empire that sought to annihilate them fits perfectly well with the prophecies allotted to the end of the age, and, hopefully, such things will become very transparent by the end of this somewhat lengthy article. Several rabbis have struggled with the Book of Esther over the millennia, even questioning its place in the Tanakh (Jewish Old Testament). The idea of a pagan/Gentile king (in this case an emperor of the Persian Empire) saving Jews from annihilation, and a Jewish woman married to him to bring about that salvation, has not settled well in the minds of Jewish separatists. After all, the Torah makes it quite plain that Jews and Jewesses were not to intermarry with pagans, although Moses (the Lawgiver) did exactly that. Perhaps, from a scholarly perspective, it survived as a holy book because it tells a wonderful story of Jewish victory over a scheming Gentile (an ancient Hitler figure) who sought to annihilate them as a people. In this article, however, we take the approach that God wanted Jewish thinkers to struggle over the concept of a Gentile king as savior, for the story of King Ahasuerus foreshadows Christ (whom many Jews think of as a Gentile deity) saving Israel during the Apocalypse. As we dig deeper into the shadows of old and how many have been fulfilled with Christ, I must disclose that this prophetic interpretation is not about Jews or Christians or who is most preferred or blessed before God; it is about God bringing all of His elect together for the Messiah during a time of tribulations. The Jewish rejection of the Suffering Servant Messiah (not all, but collectively) allowed for an Age of Grace in which all who believe in the biblical God YHVH can enter the commonwealth to come and the Household of God (see Rom. 11:12-26). God was always determined to bring Jews (of Judah and Levites) back and place them in their land to lead the Temple services (see Isa. 66:20-21), and He always planned an Ingathering of lost Israelites and adopted children from Gentile nations. As of today, we still live in an Age of Grace, but when the “fullness of Gentiles” and lost Israelites are brought in, Israel will become the capital of the world under the Messiah King. Hence, it is written that God will gather all of His sheep into one flock, restoring all twelve tribes, even with believing Gentiles brought in, and He will do so during a time of great tribulations, both for Christians and Jews of Israel. King Ahasuerus made a great palace feast for all the political powers, nobles, and his personal servants who ruled under him during the height of the Medeo-Persian Empire (the empire that ruled the Near/Middle East region after defeating the Babylonian Empire). Ahasuerus was in his third year of rule when he and his servants began a feast in the Palace of Shushan, meaning lily-white and trumpet, that was conducted for six whole months (see Esth. 1:1-4). In biblical symbolism the white palace represents the purity of Heaven, of the coming Kingdom, and the feast symbolizes Christ sharing in scriptural meals to prepare His elect citizenry for His national marriage. It also hints at the second 3.5 years of the Apocalypse, wherein the Bride is gathered for Sukkot. The seven days that capped the celebration took place in the royal courtyard which had been decorated in exquisite detail, colorful and costly. 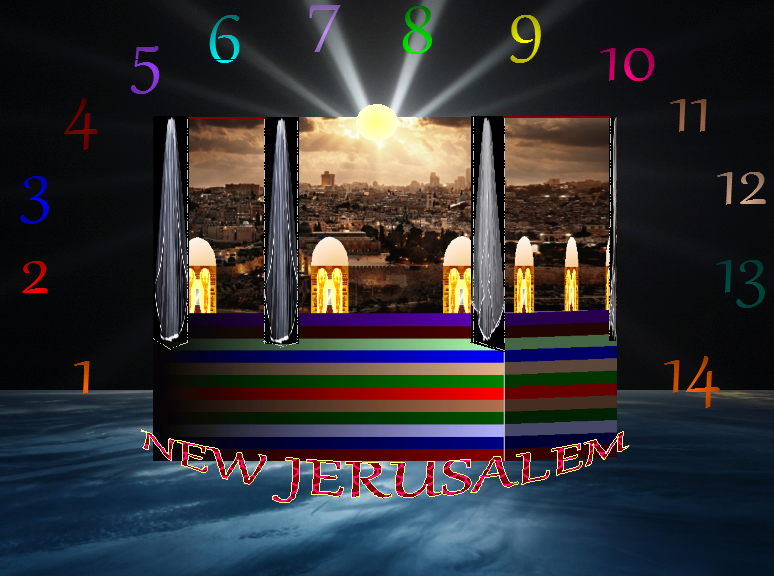 For those who have read my previous articles, it is probably apparent that the “seven days” of them drinking wine in the king’s white palace symbolizes those who are saved out of seven millennial days and united with the Great King- the Messiah who will be revealed on the morning of the Great Sabbath and reign with His elect. We eat of God’s Word and drink of the New Covenant wine (symbolic of His sacrificial blood for atonement, see Jer. 31:31-33). Like King Ahasuerus’s law that allowed people to drink in liberty, without being forced, God has allowed us to be filled with His Spirit according to our desire rather than by religious coercion. The New Covenant is one of “liberty” under the Law, to worship from the heart rather than with dread under compulsion. This is not to posture that everyone will be rewarded equally, but only to assert that the Spirit (not religious authorities) is our guiding Light before God. During the seven days of King Ahasuerus’ feast, Queen Vashti, meaning beautiful, was committed to her own feast for the women of the royal house. This foreshadowed many priestly leaders in the Roman Catholic Church, Protestant churches, and synagogues using the House of the Lord to prepare their own biblical doctrines rather than eating with the Great King and His true servants. The Catholic priests and scholars call their church hierarchy “Christ’s wife,” yet they (and many other Christians and Jews) stubbornly deny that Christ will come to reign upon His righteous throne from Jerusalem. Their doctrines are not joined to Christ and the prophecies that announce His coming Kingdom. Many refuse to consider them as they conduct their religious celebrations and liturgical ceremonies. Hence, in Revelation Christ explains that He stands at the door and knocks, and those who open to Him will dine with Him on the scriptural dishes in which the Spirit prepares (see Rev. 3:20-21). The “king of kings” had carefully wrought his banquet with the great riches of the kingdom, with colorful banners and the best of wines, and he invited them all from the least to the greatest to join in his joy and the glory of his empire. All this was to be crowned with the presence of his beautiful wife- the appearance of Queen Vashti. Yet, that one command for her to come and join them was too much for her pride to endure. When the seventh day arrived, the haughty queen elected not to join in the festivities; she was busy being great before her entourage of stately women. She would not appear before the king despite his command, for she, like many religious leaders, did not care about the word of her lord nor pleasing him; she became too high-minded and self-centered in her glory and importance. This reminds me of the passage where the Holy Spirit and the Jerusalem Bride say, “‘Come.’ And let he who hears, say, ‘Come.’ And let he who thirsts come.” (See Rev. 22:17.) The Messiah sent His messenger to testify to these things for the seven assemblies, but how many will show at the appointed time to become part of the Jerusalem citizenry of the King? If His parables offer us clues to answer this, many religious people will suffer an ill fate for having haughtily refused the anointed King and His written invitation. Perhaps the reason so many religious people refuse to share in the true dishes of Scripture is because they have all their other religious books that lead them astray, be it Catholics heeding the Catechism more than the Word, Jews caring more for the Talmud or Mishnah, or Protestants basing their eschatological beliefs in the Left Behind Series or The Purpose Driven Life or Mere Christianity. When the appointed time comes to feast upon the “Word of God,” they are already full with their self-made, religious supplements. And, as Christ asserted for the majority, they are simply too busy in their own worldly affairs to heed His biblical truths. Queen Vashti, enjoying her own feast with her royal fans, rather than the king’s presence, is exactly what religion looks like today: externally beautiful yet full of arrogance and rebellion against the Word and will of our God. The stumbling stones are being removed to prepare the way of Messiah; all the truths of Scripture are being restored; the bread and meats of the Word are being offered to the collective Bride; the hearts of the fathers and children of the faith are being joined; and Christ has readied a place for us by fulfilling the prophecies for the appointed place and time. But who shall go and who shall come? Do we not know the approximate place and time of His arrival and feast? Do we not know where He will reign? Are there no messengers to trumpet His truths? To sound the alarm in the midnight of the world? I suspect that these revelations, after all these articles on the same theme and prophetic times, have yet to be validated in the minds of most religious people, and I suppose that much of the world will be caught completely and ignorantly unaware (like by a thief, as Christ said), all because they refuse to hear and cannot extricate the signs of the times from their preferred religious beliefs. Many will be turned away at the door, being late to the marriage and lacking the Spirit (see Matt. 25:10-12), and many will be cast out when found unworthy of the coming Kingdom and Holy Spirit. Like Queen Vashti, they will realize too late what their rebellions have cost them, and others will take their place. There will be a Holy Kingdom on Earth at the appointed time, and those who have a place in it will be the envy of the world and receive eternal life, but, as Scriptures foretell, “For outside are dogs and sorcerers, whoremongers, murderers, idolaters, and whoever makes and loves lies.” It is better to rule in the city of peace and light with the Great King, with Christ, who must subdue the rogue and soon-depopulated nations with a “rod of iron,” than to live in the lands of rebellion after the dreadful Apocalypse. Jerusalem will be the praise of the entire world as Scriptures inform us, and the most blessed and pure of heart will be its citizens. Consider the hell that millions of Jews went through in World War II. A door was opened for them to enter the Holy Land before the Holocaust, and many took advantage of it with the British mandate in 1917, but most people shunned it for there then-present lives in Gentile nations. They chose to stay in Germany, in France, in Poland, in Italy, and elsewhere, not realizing that a global war would soon erupt with them as a madman’s target of annihilation. Unlike Queen Esther, many did not discern the threat nor act upon the invitation to the Holy Land. Once the national door was shut by the British- at a time when it was most needed open- very few made it into Israel. Many were turned away and shipped back to the very nations they had escaped. Seven eunuchs were sent by the king to call the queen to the feast on the seventh day (1:10), but when the ministers were unable to bring her forth (i.e., failure to produce spiritual offspring as the LORD commanded), King Ahasuerus turned to the seven princes who stood before his throne, who “knew the times” in accordance with the law. Again we find a replacement like Queen Esther replacing Queen Vashti. The seven servants who could not bring forth the king’s wife were replaced by seven noble princes who had wisdom and understood the times and the laws. This suggests a dismissal of religious leaders- perhaps during the great falling away– who lack understanding of the signs of the appointed times, the Torah and coming judgment, who seek the wrong people as the Bride of the Lord and fail to bring in the children of the Kingdom. There are the seven great messengers in the Book of Revelation who address seven assemblies, which, as I explained elsewhere, represent the entire seven millennial days from Adam through the Great Sabbath of the King Messiah. God released their messages for bringing in His elect- His citizenry Bride. These seven are Adam (earthly like Admatha), Noah (lifted-one like Meres), Moses (noble prince like Carshena), Yeshua (worthy like Marsena), Peter (rocky like Tarshish), Elijah (luminous like Shethar), and the returning Christ (new unknown name, like Memucan). The seven princes were sought to solve the king’s problem with his rebellious wife, and together they reasoned that she would cause wrath and rebellion all over the Persian Empire. She was a contentious queen like Babylon the Harlot in Revelation. Her rebellion would destroy or weaken families with wives despising husbands, if such dishonor at the top was not addressed (1:16-18). Hence, their answer was for the king to issue a royal decree commanding that Queen Vashti never again enter his land nor presence (1:19). And so the king did, and he sent letters to all of the people, throughout the empire, in all languages (1:22). The king’s word- his decree- was spread, foreshadowing biblical prophetic warnings, that the door would remain forever shut to the haughty and hateful wife who would not present herself after all the great things that the king had prepared. Now we turn to her polar opposite, to the beloved and virtuous Queen Esther, who is honored among her people to this very day, almost 2,500 years after she humbly petitioned her king to save her and them from their political enemies. This serves as a message, woven throughout Scriptures, that God is not a respecter of persons nor of titles and religious positions. He lifts the lowly and faithful valleys and brings down the high mountains of pride. Jerusalem will soon become a holy city because of her inhabitants and the Spirit of God, which Prophet John saw coming down out of Heaven (i.e., by God’s will manifest on Earth) as the place that the Lord prepares for His people (see Isa. 62:5-7). The story of Queen Vashti being replaced by a virgin who pleased the king and found favor in his sight is a similitude of Christ replacing many who claim to be the citizenry Bride awaiting the Messiah, replacing them with those who actually are and heed His Word in virtue and humility. When the apostles sought to prepare and present the holy Ekklesia as a “chaste virgin” (see 2 Cor. 11:2), they metaphorically spoke of people faithful only to the biblical God and His Messiah (i.e., not pagans, Muslims, and those who seek to be their own gods, for their own will). As we near the Marriage of the Lamb, Moses and Elijah and the prophets, apostles, and servants of the Lord will prepare such a people for His coming. Today, we do not see a holy Jerusalem with Messiah bringing in righteousness, justice, and peace to the world, but soon many saints will be brought in for Him; many enemies will be cast out; and all who seek part in the heritage of Messiah will be tested by their hearts and spirits. It is not enough to merely appear beautiful as did Queen Vashti, for the King chooses His elect by their inner virtues and humble obedience to the Word. When Christ comes, He will not appease the wicked ways of the secular progressives of the world as corrupt politicians do; indeed, there will be no Muslims, atheists, liars, homosexuals, or anyone found offensive to holiness left in the great city of our King. Yet those who have humbly honored our Elohim YHVH and found His Messiah will be treated with love and kindness for their faithfulness. They will find grace and reign with the King of Kings and Lord of Lords. Despite what many Christian theologians teach, as well as anti-Israel progressive Jews and atheists, God will never abandon Israel and Jerusalem; His prophecies and will for a holy habitation of the elect will indeed be accomplished. Replacement Theology, where everything is spiritualized away into vanity, will be done away, and the people of God who are chosen to restore all the family tribes for the coming of Messiah will learn His biblical truths. In Revelation, Christ sends messages to His seven stars (see 1:20) so that the Ekklesia will learn of His mysteries and become prepared to answer His call. Stars give light from the heavens- as spiritual enlightenment- in dark times, and the symbolism suggests that the assemblies will learn to see the works that God is doing, even during tribulations, to prepare for the coming of Messiah (see Rev. 4:5; 22:17). Like the eunuchs who were replaced by the seven wise messengers, the levitical priesthood and catholic priesthood and many Christian leaders have largely failed in preparing the elect for what is soon to come, so God has sent His own wise messengers with His Spirit to prepare all who will hear. And yet, there is one in particular who will prepare the Bride for Christ’s coming, as foreshadowed by Mordecai. 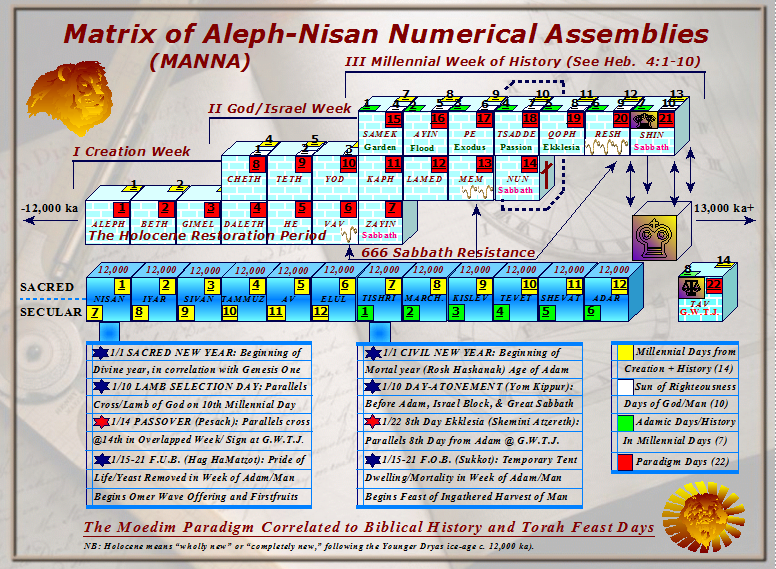 Consider that the virgins spent twelve months in preparation to appear before the king, which correlates with the twelve millennial days in the Moedim Paradigm: 12,000 total years that must be accomplished before the bridal citizenry is united with the Great King Messiah. This covers all time from the very beginning of Genesis to all who accept Christ at His coming. For six months the virgins received myrrh oil, which is a bitter herb associated with the birth and burial of Christ (oil congruous with anointing), and for the second six months they were treated with sweet perfumes, representing the sweet salvation we obtain from the cross (i.e., when it was “finished”). This distinction covering all the works of Christ suggests a reformation from the bitterness of the written Law to the grace we have in the New Covenant, just as ancient Israelites could not drink the bitter waters of the Word in the wilderness until the tree (representing the cross) was cast in to make them sweet. Also note that Esther’s identity was veiled, and her family lineage was not asked of her, yet if the king was pleased with her appearance, he would call her out by name. For Christians, this may bring to mind the Good Shepherd who calls His “sheep out by name,” and during the Apocalypse (which means unveiling) the faithful elect will await their unveiling as the children of God, as the elect citizenry Bride of the Great King. Finally, consider the severity of the situation, where the king examined and tested his potential virgin brides, and afterwards they were sent away to wait and see whom he would choose. This parallel is reminiscent of the parable Christ told about the wedding of the Kingdom, where many were prepared, but a certain guest was found without appropriate garments and was cast out; hence, the guest was not inwardly prepared for the King’s examination. The Book of Esther opens in the third year of King Ahasuerus’ reign, followed by a feast of six months, so we know that it took around three more years for the king to reveal his new bride, in the seventh year of his reign. This correlates with the seven years of the Apocalypse, when Christ’s Bride is unveiled before the world, united with Him on the seventh year. Like the Bride of Christ finding grace and seeking a “crown of life,” Esther found favor and received her royal crown. 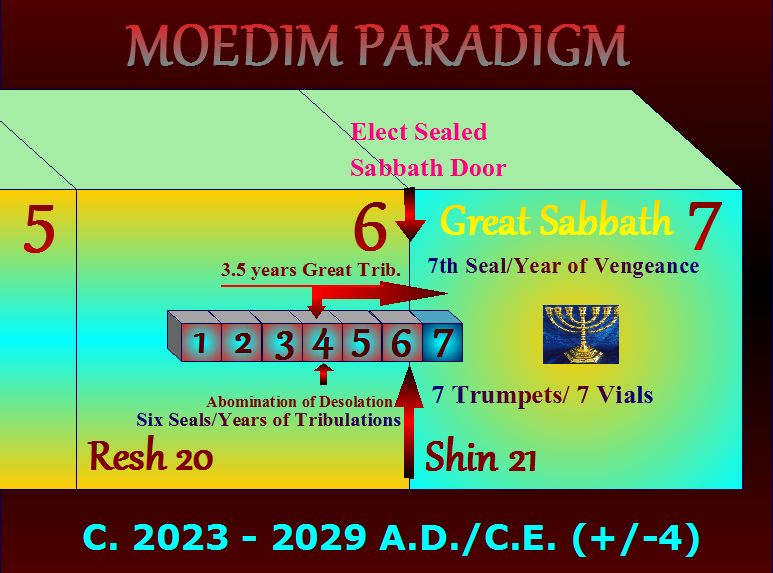 She received it on the tenth month, and, interestingly, the Sabbath millennium is the tenth day for Israel in the Moedim Paradigm. Jewish rabbis expect the panoramic fulfillment of their annual Yom Kippur celebrations when Messiah comes to deliver Israel with an awaited national atonement. This is the true marriage feast with the Great King whom the faithful await. Thus far, we have considered Esther as the luminous stars of the coming Kingdom of Heaven. She was given gifts to prepare for entering the king’s presence, just as Christians and Messianic Jews (anointed ones) have been given “gifts of the Spirit” since Pentecost (Shavuot). Esther was helped by seven maidens, but God sent out seven messengers under His seven-fold Spirit to help his elect. Although we were like orphans, like Esther, separated from the House of God, through Christ we are brought near and presented to stand before the heavenly host. Whatever Esther “desired was given her,” but God is the Great King who grants us the “desires of our hearts” (see Mark 11:24), and He sends down spiritual gifts for those who love His Word and are committed to accomplishing His will (see 1 Cor. 14:1). Like King Ahasuerus, God calls us by name for our redemption (see Isa. 43:1), and the remnant whom the Lord calls will find salvation and glory in Jerusalem (see Joel 2:32). This is the call and gathering before the Great King of Kings in which we await. In that day soon to come, we will be given royal crowns and the gift of salvation to fulfill that which was written in the shadows concerning Esther (cf. Acts 2:1-4; 1 Cor. 9:25; 2 Tim. 4:8; Eph. 2:7-8; James 1:12; 1 Pet. 5:4). And just as the feast became known as “Esther’s Feast” to commemorate her answering the royal call to appear before the king, the Feast of Tabernacles will be celebrated annually after Christ appears, to globally commemorate the elect citizenry who answer the call (see Zech. 14:18). The first call was Feast of Firstfruits, but the second- this Feast of Ingathering– is also for the arrival of Messiah (cf. Ex. 23:16; 34:22; Rev. 7:1-10; 14:1-4). None of this comes without trials and tests of faithfulness, just as Israel was tested in the wilderness after leaving Egypt, whereby an entire generation of corpses was left there because of their persistent rebellions. A new generation replaced the old one and entered the Promised Land with Joshua and Caleb. As we continue searching out messianic parallels from the Book of Esther, we will see the theme repeated of a separation between those who rebel against the king and those who act upon faith. In God’s view, rebellious Hebrews in the wilderness were conspiring against Him to manifest their own will, and that narrative is discernible in the subjects of King Ahasuerus plotting his death. In Christian theology, there are two great outpourings of the Holy Spirit and two arrivals of the Messiah, which Prophet Hosea calls the “latter and former rains,” for two national harvests. Hence, the second gathering of the virgins could imply the Sukkot gathering, with Pentecost being the first. Or, it could suggest the original Shavuot of Israelites who gathered unto God in the wilderness, followed by God gathering them after the Babylonian Captivity for a return to Jerusalem. Likely, the text was written to allow for multiple interpretations. What is perfectly clear from the passage is that sometimes the servants of the true King are actually His enemies, even religious doorkeepers. When Christ first came, those who were in positions of authority over the House of God- the Jerusalem Temple- plotted to kill Him, and they complained to Pilate that He tried to make Himself a King before the crucifixion. For Christ’s return, religious doorkeepers will again rage against the Body of Christ and will of God, for religious haughtiness prevents them from serving the Holy Spirit. In fact, many zealous Jewish rabbis and their followers call for the name of Yeshua to be blotted out of Elohim YHVH’s Book of Life, and if they do not repent at the words of Prophet Moses and Prophet Elijah (the “two witnesses”), they will be blotted out. Scriptures do not reveal what motivated King Ahasuerus’ two doorkeepers to rebel and plot to kill him, nor why they were enraged during the presentation of virgins. The only information that we have about them, other than their names (together meaning strict in god’s gifts), is that they were eunuchs (i.e., they could not sexually reproduce). The suggestion, however, is that they resented their positions as they saw the beautiful young women make their way to the king. Simply put, they were jealous of the king having a choice from the most desirable, eligible women of the kingdom. In spiritual terminology, they could not spread the Gospel and multiply the faith with the spiritual virgins. They despised their fruitless positions (as religious doorkeepers) as the new bride was being chosen for the kingdom. . Gospel readers quickly discern the same narrative of religious jealousy woven throughout New Covenant passages. 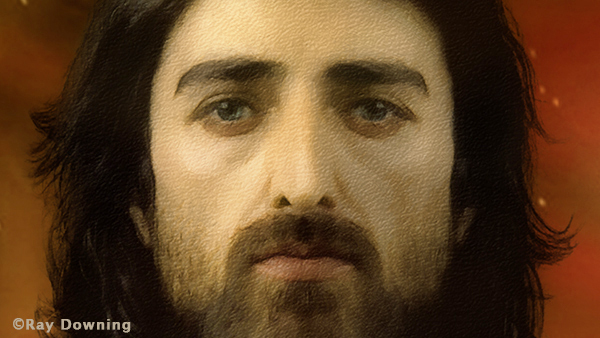 Religionists’ hate and jealousy were hidden behind the haughty façade of holiness as they considered Jesus (Yeshua) of Nazareth unworthy of the crowds that flocked to Him. 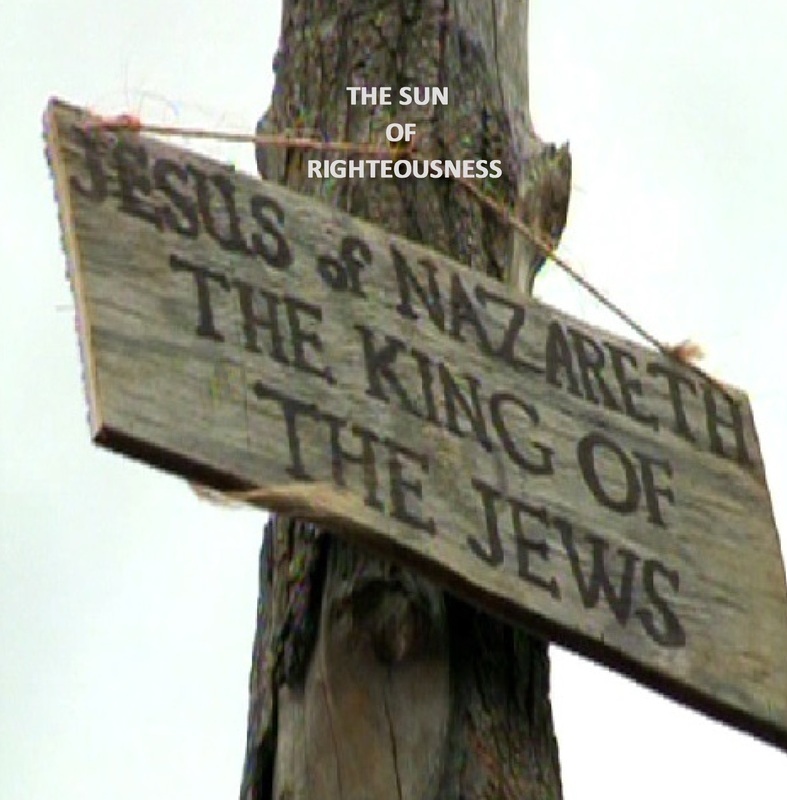 Many of the religious leaders were “unfruitful” to God, for their spirits were bitter and full of self-righteousness, and their envy quickly led to the death of the “King of the Jews” (see Matt. 27:18; Mark 15:10). Likewise, when the nations gather against Jerusalem and Israel, envy and hate will be their driving motivation while they cast their accusations against the nation. Further, envy may be the primary cause of religious leaders of today who play the roles of rebellious Vashti and the wicked doorkeepers, just as Replacement Theology has plagued the strict Catholic Church and motivated them to persecute Jews several times during the Diaspora. Envy also motivates progressive Jews in America (e.g., ACLU) to target Christians, and envy often blinds people to the will of God even when they think they are serving Him or some greater good. It destroys their ability to bring forth righteous fruits. These warning to national leaders and judges who conspire to destroy the Judeo-Christian worldview and its virtues are quite severe. They have made themselves enemies of God, and they have not heeded severe punishments in which God brought upon the Jewish people in times of old. God loathes those who conspire to do their evils, to resist His will and His Word, and at a certain point His chalice of wrath will overflow. Thus, it is paramount in these dark times for both the fathers and the offspring of biblical faith to turn back their hearts. If we heed past trials and captivities, and we know that God does not change, we should change our hearts. The time of Messiah’s reign is at hand. If God would so harshly judge Israel, which obeyed much more under the shadows of the Law, what can nations expect that have broken the everlasting covenant of grace to cast off Christ- the Substance of things written of old? (See 2 Thess. 1:8.) Within a generation of the small group of religious Jews plotting against the Messiah, and having Romans crucify Him, great evil came upon Jerusalem and the Holy Temple, and even the innocents among them suffered as they were scattered throughout the hostile nations. Yet almost all of the former Christian nations of the West are today led by rebellious politicians who invite the wrath of God for the same schemes. As we shall see in the story of Mordecai, the Great King knows of their schemes and will punish them accordingly. When the servants of the Great King reject their Lord and conspire in envy, they must repay Him who was hung on a tree for their salvation and entrance into the Kingdom (cf. Acts 5:30; 10:39; 13:29; Gal. 3:13; 1 Pet. 2:34). This is the truth that is chronicled in the Book of the Great King: the Bible (see Acts 2:23-24). Those who reject the Great King and conspire against Him will have to pay the price that He paid for them, be they Jewish or Gentile religionists, or even secular leaders persecuting Him (i.e., His people). The rest of the Book of Esther will be completed in two upcoming articles. While I had thought to cover Purim (i.e., casting of lots) and finish the little biblical book in one somewhat lengthy article, I now realize that it is so rich in apocalyptic symbolism and crucial truths that foreshadow Christ, the Jerusalem Bride, the Antichrist, and the coming salvation of Israel that it requires much more expounding than I had originally anticipated. To learn more about the prophetic symbolism within the Book of Esther, please read the two remaining parts as they become available. Shalom, and may the Lord cast His Holy Spirit peace upon you.